Dental implantology means the placement of an artificial tooth root into the jaw. We use high quality Camlog (Camlog Biotechnologies, Germany) and Ankylos (Dentsply, Germany)pure titanium screw implant products. The above mentioned manufacturers have an outstanding reputation within the dental industry and possess great experiences in producing dental implants and other dental equipment and materials. Restorative treatments for us mean not only the filling of decayed and eroded teeth but we also apply auxiliary dental surgery whenever it is needed. Paradontology is also part of our restorative treatments. 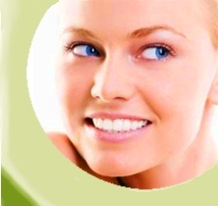 Aesthetic dentistry and tooth replacements: these include fillings, teeth whitening, inlays. Tooth replacements can be dental crowns, dental bridges, partial or full dentures, the latest metal free crowns or dental bridges and dentures fixed on dental implants. Dental hygienic treatments are also available in our dental practice by a skilled hygienist. Diagnostics: We use the most advanced materials and the latest equipment such as dental radiographs and panorama X-ray. Qualification: We are accredited specialists in the fields of general dentistry, oral surgery and orthodontics. All materials used are certified, hypoallergenic and bio compatible. Crowns are made of porcelain or porcelain bonded to a precious bio metal or golden base. Medical spa treatments: Our dental practice is located in the village of Bük-Fürdő, known for its spa, effectively treating all kinds of medical problems. During your dental treatments you may take the opportunity to relax or take part in the numerous leisure activities.